Cruise the High Seas with Black Panther! How would you like to cruise the high seas with Black Panther and other popular Marvel superheroes? If that sounds like a dream come true, it’s time to start planning your Disney Cruise with Marvel Day at Sea! Your chance to meet Black Panther as part of a Disney vacation experience debuted with Marvel Day at Sea aboard the Disney Magic. Guests of all ages are being inspired by their encounter with the legendary heir to the Wakandan throne, learning from this powerful master of unarmed combat and enjoying an exclusive opportunity to meet a legend. For more information or to start planning your Disney Cruise with Black Panther, CLICK HERE, fill out the form below, or send an email for a FREE, no obligation quote with an Authorized Disney Vacation Planner. I offer rate monitoring to ensure you are receiving the best available rate offered by Disney and my services are 100% FREE! 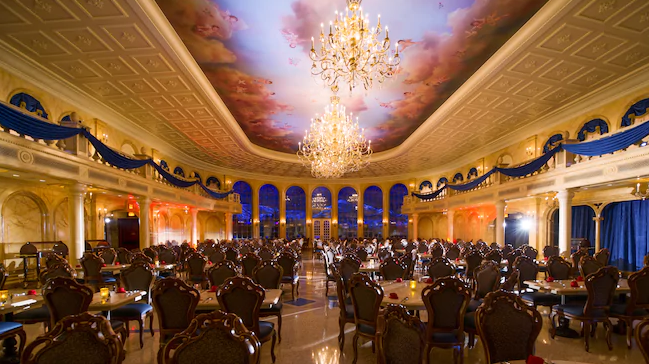 Is ‘Be Our Guest’ Closing For Refurbishment?